Search Engine Optimization gets traffic to your website. Traffic is great, but it’s the conversions that become leads that are important. Marketing that converts is the best kind of marketing because you can prove a cause and effect and therefore determine a return on the marketing investment. How do you know what the best marketing keyword phrases are, and how do you measure whether they are effective for your customer. Believe it or not, sometimes “free” is a turnoff. Using testing methods, you can create two seperate campaigns and test whether the word “free” or the word “complimentary” are more effective for your product. I’ve had situations where customers will refuse something that is ‘free’ because they did not perceive the word ‘free’ to be credible. Be sure that whatever keyword, phrase or positioning statement you are testing is believable and realistic for your brand. Another client of mine was working on a campaign that said they were the ‘best’ at something that they had never offered. This was a launch campaign. Could they be the best? It’s possible, but not probable and certainly not credible if they’ve never offered a service or product like that before. So, before accepting that a word is terrific, consider your circumstance, your customer and your message, then evaluate whether the word or phrase is believeable. 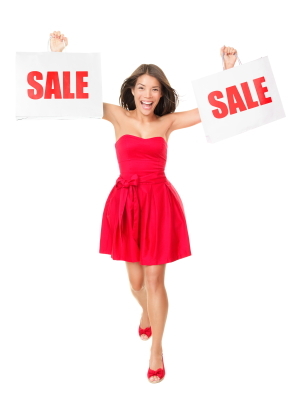 Keep in mind that if you are promoting a sale, it should truly be a sale. Several department stores got into hot water recently because they raised their prices, then promoted a percentage off savings. When the “sale” was picked up by the media, it resulted in some very bad publicity for the retailers. Especially because the marketplace is so competitive, losing credibility will result in lost revenue. To the extent that the expose becomes viral, the resulting damage to reputation can become catastrophic. The first key to creating a strong case for a specific keyword or keyword phrase is to understand what your marketing goals and objectives are, and establish a baseline, and lift goals. If your CEO ever asks what the return is on his marketing investment, you should be prepared with each campaign – what the goals were, what the budget was, what the lift in sales or views or whatever the metric was and then you can calculate what the return in on the investment (ROI) would be for that effort. As you track your marketing campaigns you will start to discover that there are certain ‘magic’ keywords that evoke higher response rates than others. If you do A/B testing, you can determine what words work and resonsate with your audience. The ability to continuously change, improve, enhance and evolve your content in order to determine what works best is one of the coolest features of Inbound Marketing. It’s similar to the way a supermarket uses a planogram to layout the store and test products at the end of an aisle. You have the ability to manipulate words, color, photos and content to continuously improve results. With multiple view over time, you will clearly see what words work better than others…and what doesn’t work. There are obviously best marketing practices and best keywords that drive conversions. Language that is tested and which resonates with your audience can be a key determinant for inbound leads. That includes not only quantity, but also quality of inbound leads. Some of the best offers use what has been referred to as ‘magic phrases’ that generally are more likely to evoke a response than other phrases. Testing these phrases is a great idea in a dynamic media like a website, social media campaign or email marketing campaign. This list of the top five keyword phrases is borrowed from the Direct Marketing industry, where the cost of printing and mailing postage has forced marketers to take a hard look at what works or what doesn’t work, and prove the return on investment for marketing expenses. FREE. Yes, ‘free’ does work best. Even if used in a way that seems redundant, such as “free gift” versus “gift”, using the word “Free” is a powerful tool for conversions. NO OBLIGATION. When coupled with the word “Free”, this makes an offer more reassuring and less scary to jump into. LIMITED TIME. Having a deadline for response creates a sense of immediacy. Without a timed opportunity, the tendency may be to put the offer away to look at it more thoroughly later. Giving a time ultimatum moves the importance to a more immediate review. NEW. This is a great way to have people take another look. Who doesn’t want to see what the new features are, especially if they liked or purchased before. ANNOUNCING. Another powerful motivator – people like to know that they are among the first to view something or to be int he know. Using “announcing” triggers an early response mechanism. What other words have you noticed that trigger action? Are there words that you’ve used that you find important motivators?